Beware of the dog film. Any pet owner can agree that dog films are some of the most heartwarming slices of Hollywood goodness on the planet, but they always, always reduce us to tears. It’s hard to figure out exactly when Hollywood decided that most dog films have to make us cry, but we’re guessing it’s somewhere between Hachi and Old Yeller. Thankfully, for every Marley and Me there’s an Air Bud (and what would we do without Air Bud?). From Balto to Isle of Dogs, these pup-minded films are the best dog movies on the planet, and possibly beyond, since we know all dogs do, in fact, go to heaven. 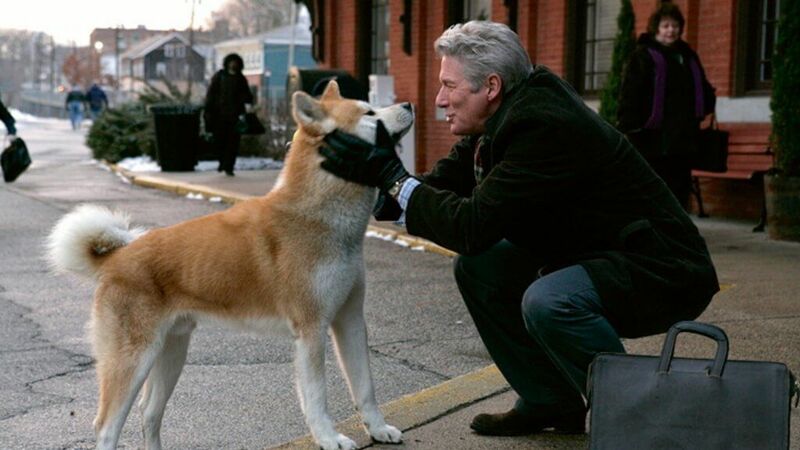 If you’re ready to bawl your eyes out, Hachi: A Dog’s Tale rates even higher on the cry-scale than Marley And Me. The story follows a faithful pup who’s accidentally left at a train station amidst a move from Japan to America. He’s found and adopted by a professor, who unsuccessfully searches for Hachi’s owner. The pair develops a close bond, and every day Hachi follows the professor to the train station and waits for him to come home from work. Of course, we can’t have nice things in dog movies, so this quickly turns tragic. One day, the professor never returns on the train. Hachi, being the loyal dog he is, continues to wait. Eventually, he’s picked up by one of the professor’s relatives who tries to explain that the professor had died from Cerebral Palsy. Hachi doesn’t quite understand and continues to wait at the train station every single day. Although this one is a definite tear-jerker, the duos unlikely bond is worth watching.